Preface: The successful clinical use of viral vectors for human gene therapy. 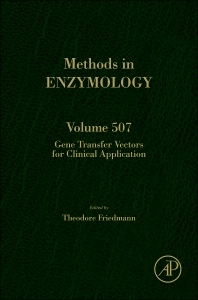 This volume of Methods in Enzymology looks at Gene Transfer Vectors for Clinical Application. The chapters provide an invaluable resource for academics, researchers and students alike. With an international board of authors, this volume covers such topics as General principles of retrovirus vector design, Chronic granulomatous disease (CGD), Gene therapy for blindness, and Retrovirus genetic strategy and vector design.